2019 Motor Vehicle Permits are available for sale starting October 1, 2018, and are valid through December 31, 2019. The price of the annual Motor Vehicle Permit is $10 for a Hamilton County resident and $15 for a non-resident. The Motor Vehicle Permit also includes the Great Parks' Bonus Pack coupons, which gives $13 in discounts on golf, boating, fishing, camping, wet playgrounds, special events and more. Daily Motor Vehicle Permits can be purchased for $5 each for Hamilton County residents and $8 for non-residents at park entrance booths, visitor centers, boathouses, campgrounds, golf pro shops and ranger stations. If you have any questions, please call 513-521-7275, Monday-Friday, 8 a.m.-4 p.m.
Current Hamilton County residents, who have a 100% service-related disability as determined by the Department of Veterans Affairs, or are a former prisoner of war, or are a Medal of Honor recipient, may apply for free Motor Vehicle Permits. Eligible veterans will receive two annual Motor Vehicle Permits by mail for a two-year period. Veterans are encouraged to reapply every two years. To apply, please print, complete and return the application form below. 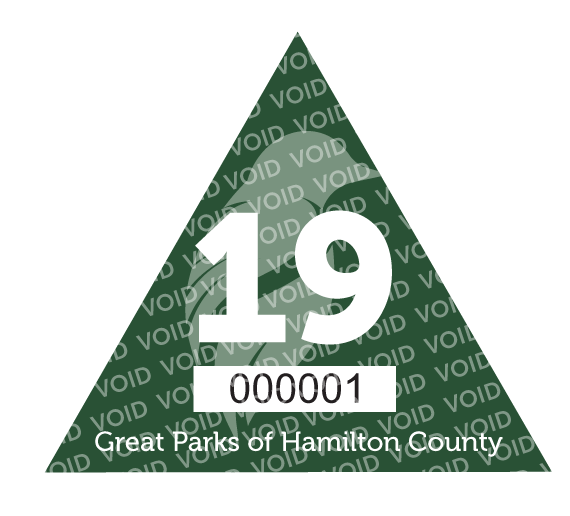 Valid Motor Vehicle Permits are required for every vehicle entering a Great Park of Hamilton County. Otto Armleder Memorial Park & Recreation Complex and Fernbank Park are cooperative ventures with the City of Cincinnati; therefore, a Motor Vehicle Permit is not required. The cost of an annual Motor Vehicle Permit is $10 for residents of Hamilton County and $15 for all other park visitors. Fees from Motor Vehicle Permits support ongoing conservation efforts for the park district’s 17,500 acres of green space, and are a funding source for providing an enjoyable, safe and clean experience during visits to your Great Parks of Hamilton County. Motor Vehicle Permits are mailed within three business days from date of purchase.